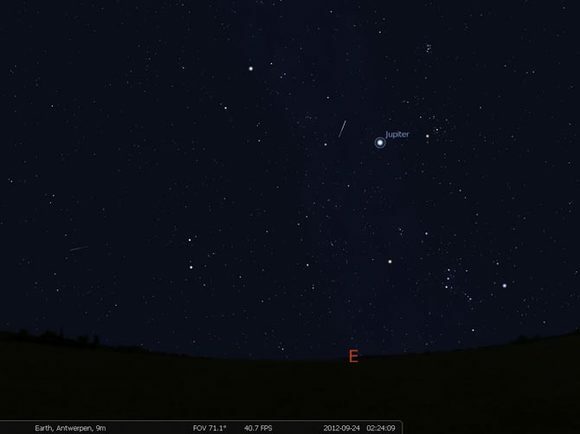 Free and open-source planetarium software Stellarium 0.18.2 was released a day ago with enhancements, various bug-fixes and translation updates. Updated code and data, and fixed various bugs. 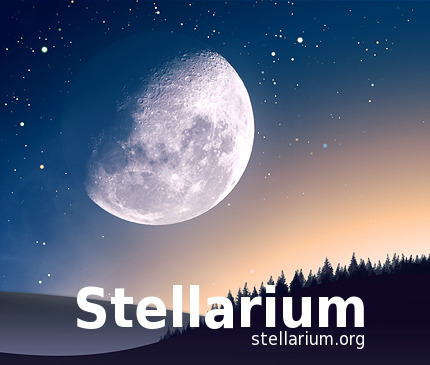 The software has an official PPA repository that contains the latest Stellarium packages for Ubuntu 16.04, Ubuntu 18.04, Ubuntu 18.10, and their derivatives. Free and open-source planetarium software, Stellarium 0.18.1, was released 2 days ago with new features, many improvements and lots of bug-fixes. Updated the main UI, code of plugins, code and data. Many other improvements and various bug-fixes. 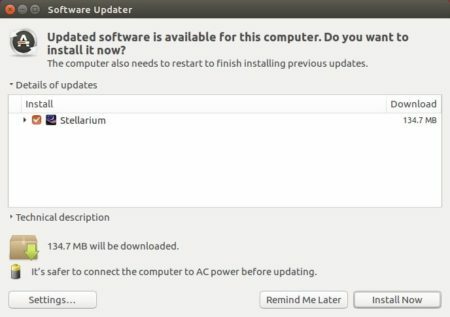 The software has an official PPA repository that contains the latest Stellarium packages for Ubuntu 16.04, Ubuntu 17.10, Ubuntu 18.04. Free and open-source planetarium software Stellarium 0.18.0 was released last night. The new release added support for Hierarchical Progressive Surveys (HiPS). Added option to suppress drawing large halo around bright stars. The developers maintain a stable PPA repository that contains the latest Stellarium packages for Ubuntu 16.04, Ubuntu 17.10, Ubuntu 18.04. KStars, an open-source and cross-platform Astronomy Software, has reached 2.7.0 release with speed improvements, better cross-platform support, and Android mobile/tablet support. KStars provides an accurate graphical simulation of the night sky, from any location on Earth, at any date and time. The display includes up to 100 million stars, 13,000 deep-sky objects,all 8 planets, the Sun and Moon, and thousands of comets, asteroids, supernovae, and satellites. For students and teachers, it supports adjustable simulation speeds in order to view phenomena that happen over long timescales, the KStars Astrocalculator to predict conjunctions, and many common astronomical calculations. Ekos GUI improvements, especially on low-resolution displays. guide drift graphics written, minor improvements to alignment module, significant updates to Focus module. And much more, see the official announcement.